We’re teaming up with the Vancouver Christmas Market this year to bring you the Ultimate VIP Holiday Experience! Starting today until November 18, get your tickets to Royal Winnipeg Ballet’s Nutcracker to automatically be entered into this incredible grand prize draw! Two complimentary drink tickets, a parking pass, as well as a post-show Meet & Greet with Royal Winnipeg Ballet dancers during your Nutcracker visit. Two Fast Passes to the Vancouver Christmas Market (includes a Season Pass and Fast Lane access), two complimentary traditional beverages and 2018 Collector Mugs, two Unlimited Carousel Day Passes and a love lock to put on their brand new Love Lock Installation. Reserve your seats now for the chance to win this magical experience at Vancouver’s favourite holiday events. 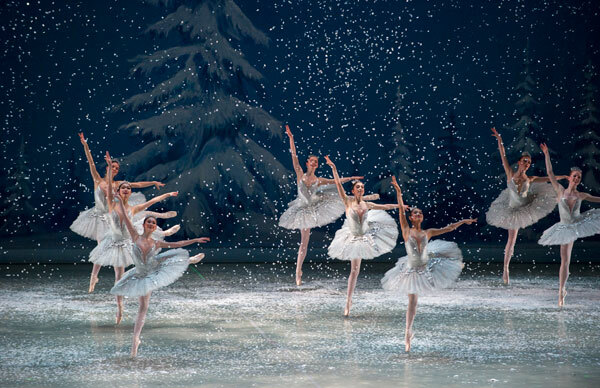 As an added bonus, all Nutcracker ticket buyers will receive 50% off entry to the Vancouver Christmas Market! Starting November 21 through to December 24, show your Nutcracker tickets at the gate to receive this discount. Purchase your tickets to the RWB Nutcracker performance presented by Ballet BC prior to November 18, 2018. Mail-in entries must be received by November 18, 2018, at 11:59PM. Duplication of a mail-in entry may result in disqualification. Royal Winnipeg Ballet Company. Photo by David Cooper.